This document gives an overview of the Ad Hoc distribution techniques that are primarily used for testing an Xamarin.iOS applications with a wide group of people. Once an Xamarin.iOS app has been developed, the next step in the software development lifecycle is to distribute the app to users for testing. iTunes Connect is one option for managing app testing and is described more in the TestFlight guide. 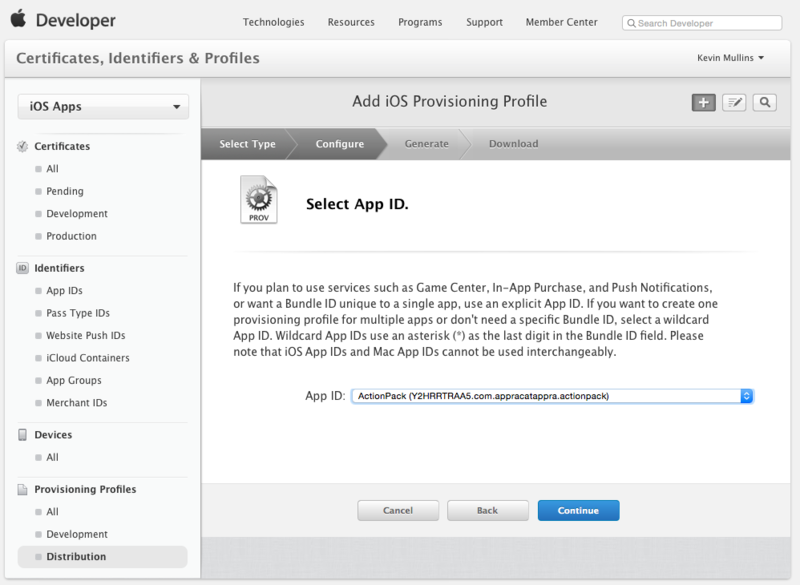 However, members of the Apple Developer Enterprise Program do not have access to iTunes connect, so Ad Hoc distribution is the best method of testing these apps. Xamarin.iOS applications can be user-tested via ad hoc distribution, which is available on both the Apple Developer Program and the Apple Developer Enterprise Program, and allows up to 100 iOS devices to be tested. Ad hoc distribution has the advantage of not requiring App Store approval, and it can be installed over-the-air from a web server, or via iTunes. It is, however, limited to 100 devices per membership year, for both development and distribution, and these must be manually added in the Member Center by their UDID. For more information on adding devices, visit the Device Provisioning guide. Ad hoc distribution requires that applications be provisioned using an Ad Hoc provisioning profile containing code signing information, as well as the identity of the application and the devices that can install the application. 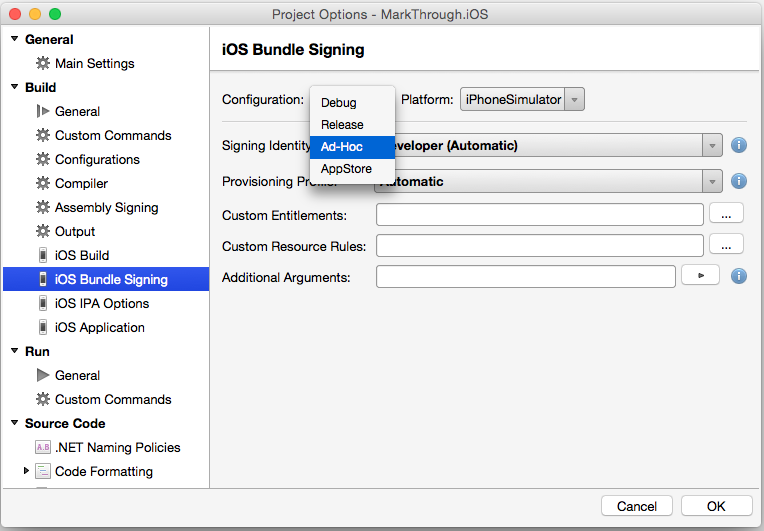 This guide will provide information on Provisioning for Ad Hoc distribution, and information on how to distribute a Xamarin.iOS app. 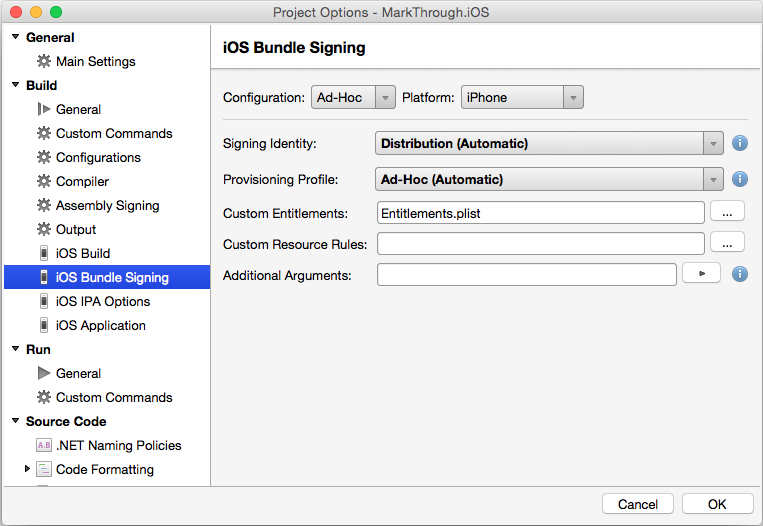 Even if you plan to release a Xamarin.iOS application for In-House Deployment, for testing purposes, you'll need to build an Ad Hoc Distribution Provisioning Profile specific to it. 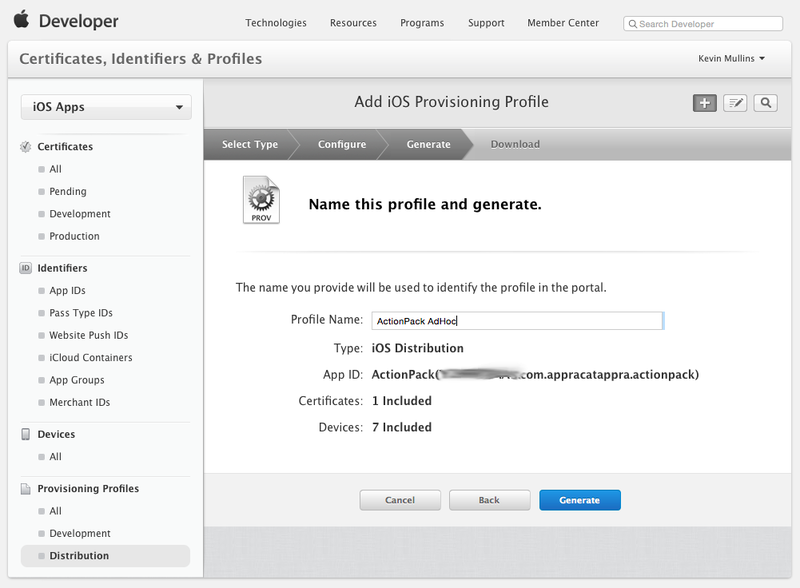 This profile allows an application to be digitally signed for release so that it can be installed on an iOS device. 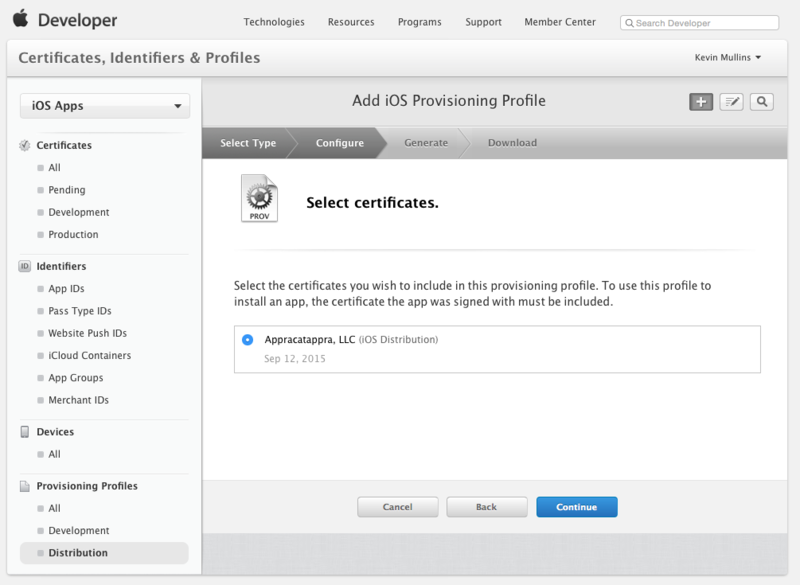 The next section will describe how to get set up with a Distribution Certificate and a Distribution Provisioning Profile. 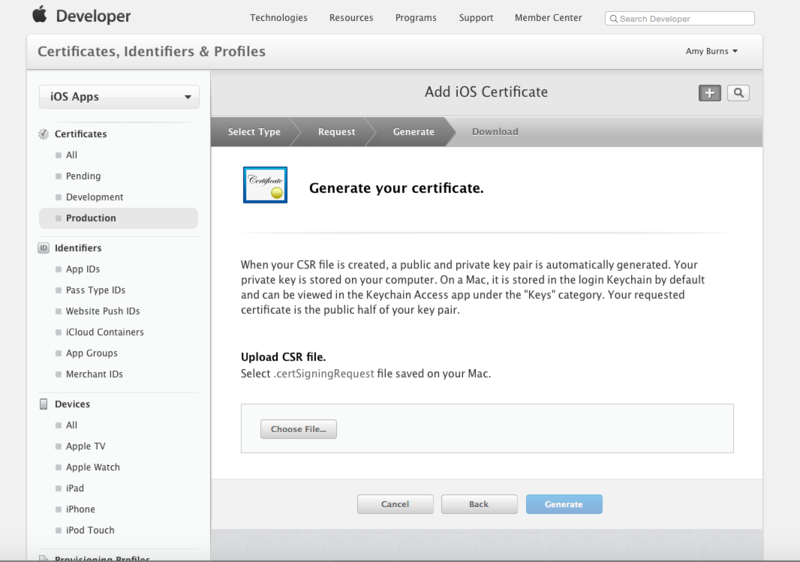 Click Generate to create a certificate. 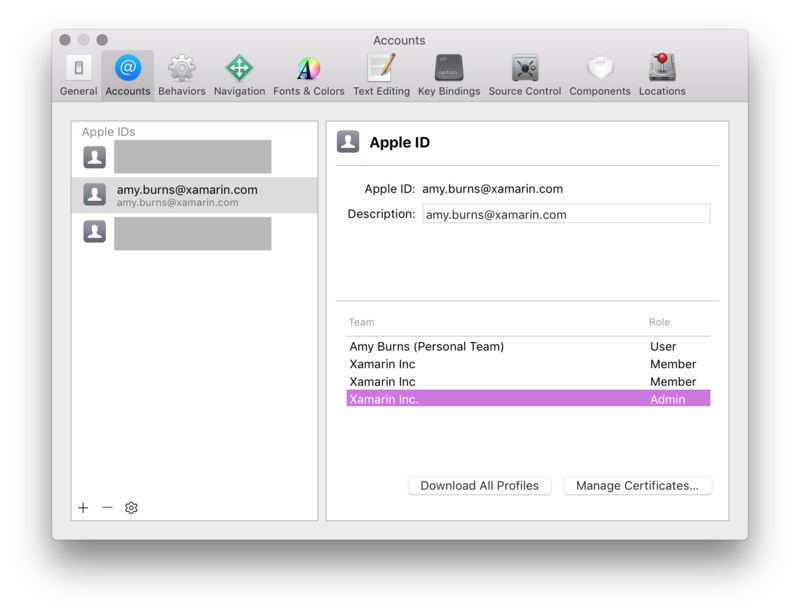 At this point, the certificate should be installed on the machine, but you may need to Refresh your profiles to ensure that they are visible in Xcode. Select any App Services that your app requires. Click the Continue button and follow the on screen instructions to create the new App ID. 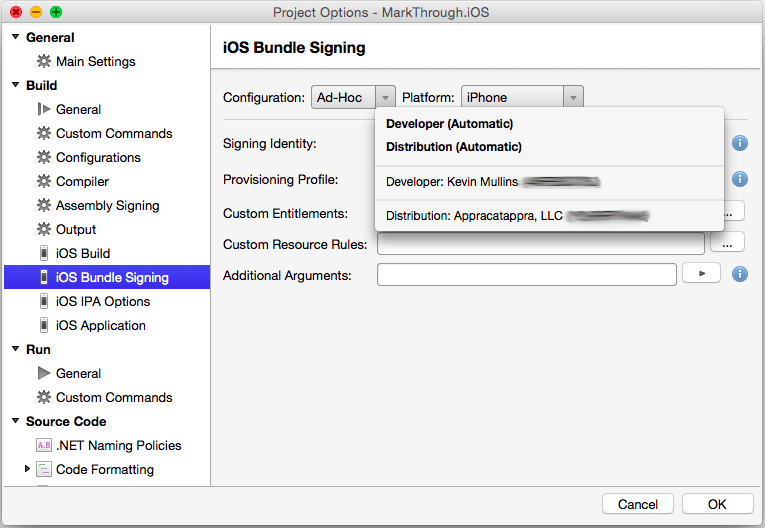 You may have to quit Visual Studio for Mac and have Xcode refresh its list of available Signing Identities and Provisioning Profiles (by following the instructions in the Downloading Profiles and Certificates in Xcode section) before a new Distribution Profile is available in Visual Studio for Mac. 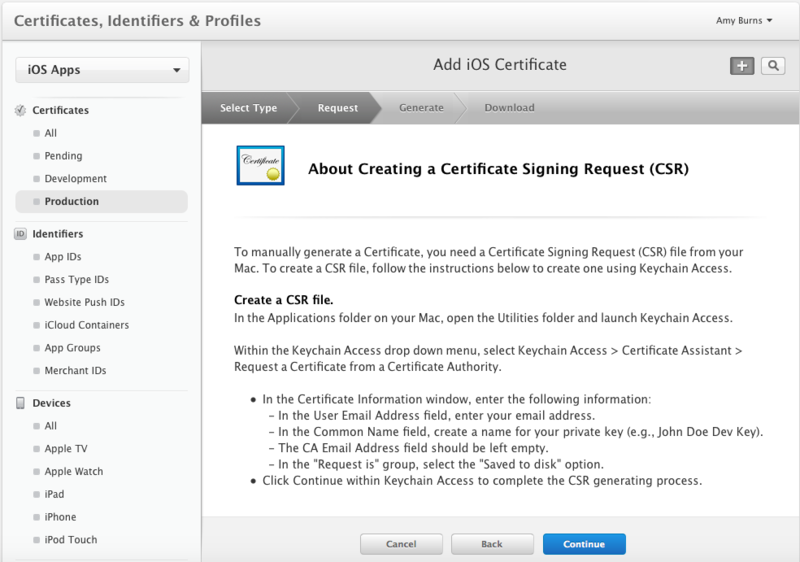 You may have to quit Visual Studio and have Xcode (on the Build Host's Mac) refresh its list of available Signing Identities and Provisioning Profiles (by following the instructions in the Downloading Profiles and Certificates in Xcode section) before a new Distribution Profile is available in Visual Studio. 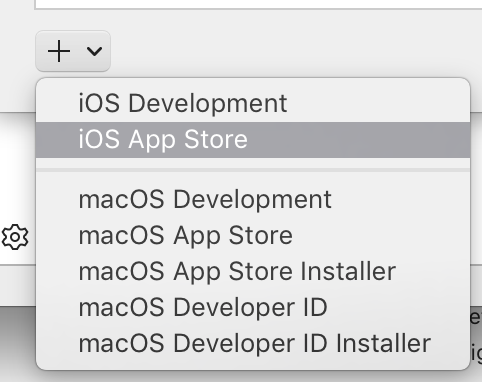 When you are ready to do a final build of a Xamarin.iOS application, select the Distribution Profile that was created above. While TestFlight is a popular means of beta testing and distribution, it is part of iTunes Connect, and is therefore unavailable to members of the Apple Developer Enterprise Program. Ad Hoc Distribution allows developers to beta test apps on a wide range of devices when iTunes connect is not an option. Ad-Hoc works in a similar way to In-House Distribution, and requires an IPA to be created, which can then be distributed either over-the-air, or manually via iTunes. 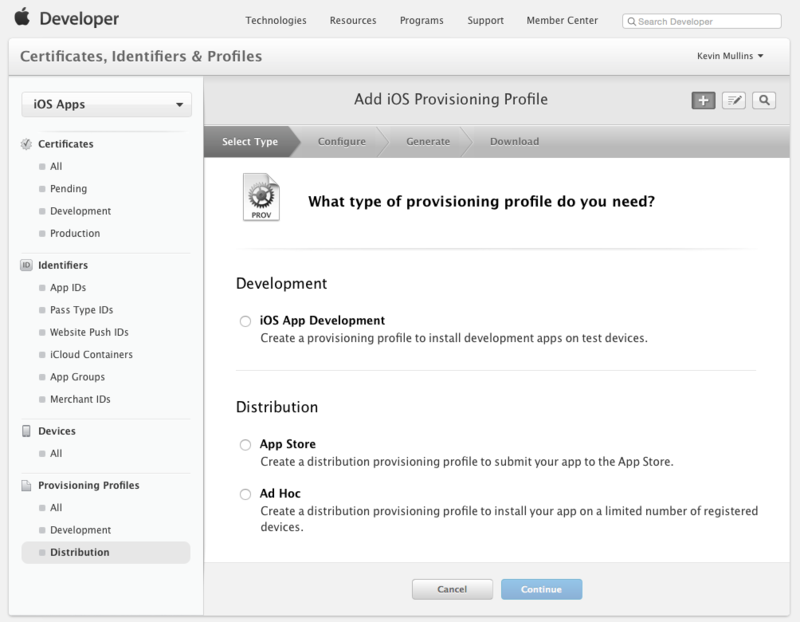 Once provisioned, applications can be packaged into a file known as an IPA. This is a zip file that contains the application, along with additional metadata and icons. 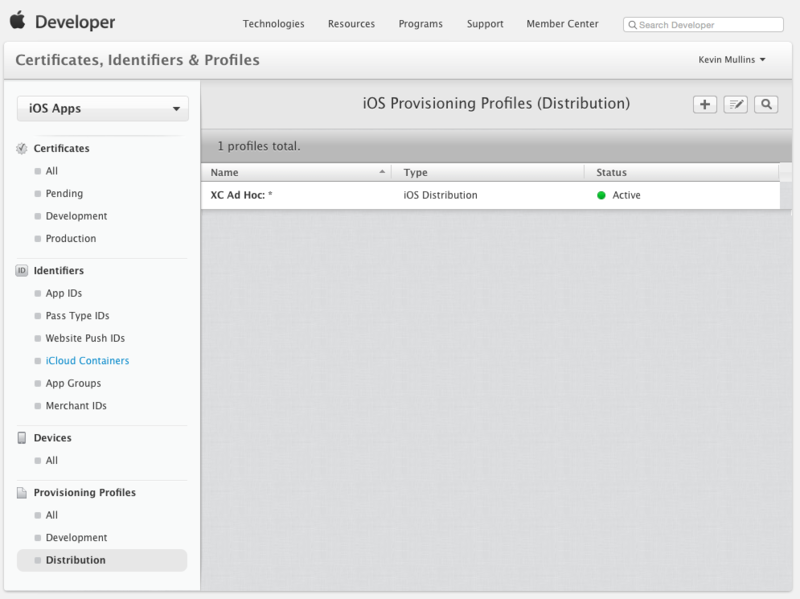 The IPA is used to add an application locally into iTunes so that it can be synced directly to a device that is included in the provisioning profile. For more information on creating an IPA, see IPA Support guide. This article explained the Ad Hoc distribution mechanisms, which are required for testing Xamarin.iOS applications.